University Libraries is pleased to host, Greg Phelps, as he presents, "Cemetery Symbols" on Wednesday, October 30 at 12 p.m. in the Leslie F. Malpass Library, Room 180. 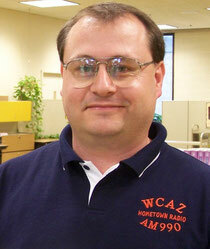 Greg Phelps will be presenting Dead Men's Tales: Cemetery Symbols and their meanings. Have you ever wondered what the skull, hand, or rose on a tombstone meant? Dead Men's tales looks at the history of gravestones, their symbols and their meanings. Many tombstones have clues to the occupations and groups the deceased were involved with during life. Also included in the lecture will be a demonstration on how to make your own gravestone rubbing. The event is free and open to the public. Questions about the event can be directed to Tammy Sayles at (309)298-3298. Last month the McDonough Historical Society revamped the cemetery section of their website to make it more user friendly and useful. Heather Monroe, a volunteer that implemented the changes, said the features such as the GPS coordinates for McDonough County cemeteries should make it easier for those wishing to learn the county’s history. 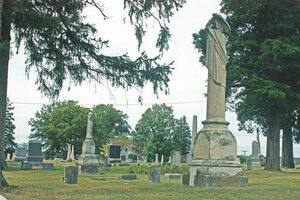 Additional features from the Historical Society include a guide to the more than 100 cemeteries in the county, the McDonough cemeteries guide, and the McDonough County cemetery marker photos. Donations can also be made to the society to support the Cemetery Improvement Project. For more information about the Historical Society and to check out the new website features, visit http://mcdhistsociety.jimdo.com. Local history is often associated with courthouses or buildings, streets and monuments, but in Macomb, the most vivid and telling portrayals of history may be found with the county's permanent residents in cemeteries. They're often the focal point of ongoing beautification and preservation efforts, after years of their neglect. Cemeteries, especially ones that are no longer being filled, can be overlooked as time passes. Maybe a caretaker knocks over a stone or a small cemetery on private farmland — there are several by Industry and Blandinsville — can be encroached upon inch by inch each harvest. "One (cemetery) almost was destroyed," said Gil Belles, coordinator of the cemetery project, regarding a rural cemetery in the county. "The guy would plow and every year he went another 6 inches off the edge of that cemetery. One year he broke one of the headstones." The signage program, which marks around 98 cemeteries with modern official signage, induced by the McDonough County Historical Society and continued by Belles is an example of present-day efforts to continue recognizing cemeteries. Boy Scouts have done work to clean up cemeteries and preserve them — one group putting a fence up in an attempt to protect the encroached cemetery mentioned earlier by Belles. Multiple local individuals have also earned Eagle ranking by restoring areas of cemeteries as service projects. Another effort by Don and Gordana Rezab, now both deceased, set in motion the beautification of several acres south of Old Macomb, Belles said, to assure that the land would complement the cemetery instead of a structure like an apartment or gas station. Occasionally, cities themselves will forget the importance of the old stone. In commentary written by author and local historian John Hallwas, also a columnist for The Voice, entitled "Oakwood Cemetery and Community Leadership" in 2006, Hallwas makes a stand against the Macomb City Council's vote to destroy Oakwood Cemetery's entryway arches. The arches, crafted by Wilbur Wetzel, who was born in McDonough County in 1873 and had served as mayor of Macomb from 1941 to 1945, were constructed by paving bricks taken up when the resurfacing of Lafayette Street was completed. With limited public funding, Wetzel created the large stone archways that were then threatened in 2006 when the council voted to tear them down. "The historic entranceway, constructed by Wilbur Wezel, symbolizes the character and spirit that makes our town so special," Hallwas wrote. "But without either caring about our past or knowing where we are heading, the city council voted to destroy a historic structure, and thereby damage a superb historic cemetery." The arches still stand in Oakwood today. Preservation of these monuments of the past fall on the one entity that has consistently come to their defense: The community. People like Duane Lester of Good Hope, who in the 1970s took up the daunting task of documenting the information of each of the tombstones — more than 100 in McDonough County — and placing them in an 18 volume work entitled "Rural Cemeteries of McDonough County." People like Libby Grimm of the genealogical society, who published "McDonough County, Illinois Cemeteries: Location Maps and an Index," which detailed the history of 126 burial sites. People like Marge Harris, who documented the location of tombstones in Old Macomb Cemetery in "'Old Macomb' Illinois" to help locate where certain moved tombstones should lay. People like Hallwas, who has written multiple books such as "Here to Stay," which retells the history of permanent Oakwood Cemetery residents, and "McDonough County Heritage," telling the history of Old Macomb Cemetery as well as other important structures, and who tours around the state giving talks on the importance of cemeteries. They're all people who have taken strides to preserve the history of where the dead lay — for the good of the community. "I view cemeteries as historic sites, which they are, of course," Hallwas said. "You'll see the growing commitment to that in many different ways from teaching classes, to the writing of books and articles to try and get people to understand that these are important historical sites. You need to preserve them, you need to take care of them." Twenty-eight people born prior to 1800 are buried in Old Macomb Cemetery, according to Hallwas' "McDonough County Heritage" — their lives undetailed by the lack of paper but assuredly tied to the westward movement post Revolutionary War. Old Macomb, Hallwas said, served as a "graveyard" that had a disconnect to the living. With Oakwood Cemetery, preservation and beautification, an idea that stemmed out of Mt. Auburn in Boston, according to Hallwas, was for the cemetery to become a place for the living to reflect in a park-esque setting. In Oakwood lies many founders of Macomb, such as James M. Campbell (1803-1887) who "built a log cabin at what is now the intersection of Johnson and Jefferson streets," which would become Macomb's first general store. There is also William H. Randolph, whose murder in 1864 was denounced in the Chicago Tribune and set off a divisive murder case. Randolph, Hallwas wrote, was to bring John Bond in for trial for deserting the Union war effort. Bond shot Randolph, starting a gunfight, and fled the county. Countless other sites hold the history of the original founders, residents, scoundrels, politicians and heroes of the county that make up the spirit of the community today. The website has been reorganized to present information about McDonough County cemeteries in a more user-friendly way. We would like to share this information with you and please share this information with others. 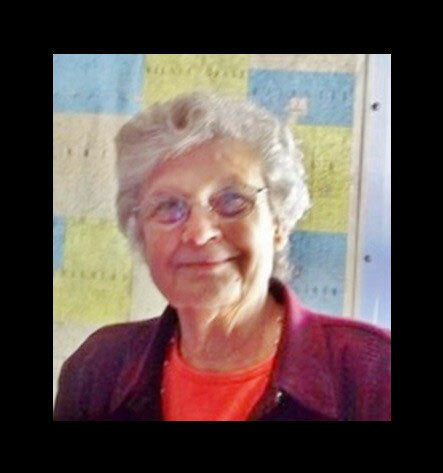 This note is to inform members of the McDonough County Historical Society that Gordana Rezab died Saturday, August 31st. Dodsworth Piper Wallen is handling the arrangements and a memorial service will be scheduled at a later time. She had been the President of the society since January 2012 and was serving her second term this year. Gordana enjoyed serving the society and played a major role in developing the “Old Macomb Cemetery” project. She will be missed. More information will follow later. This information was provided by Jayne Schiek and forwarded to Gil Belles. 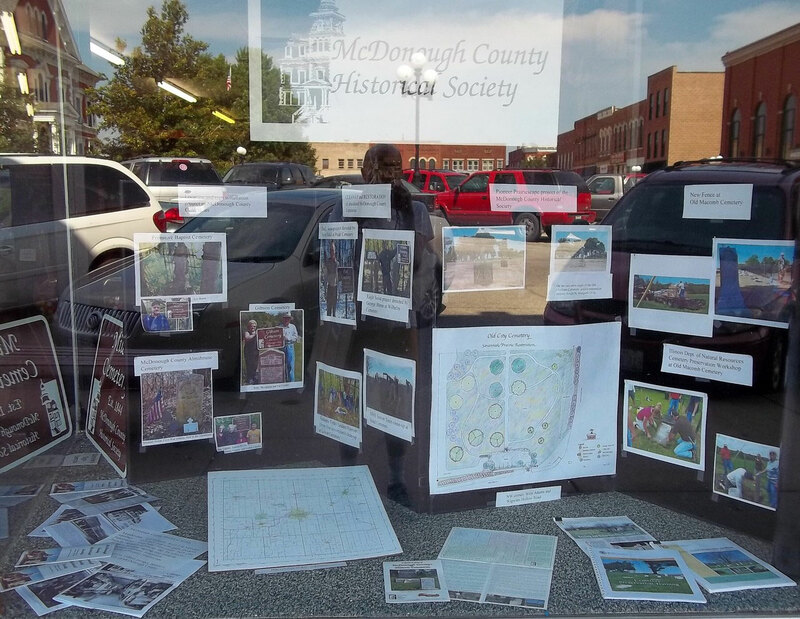 The McDonough County Historical Society created a window display for Heritage Days 2013 matching the event's theme of historical restoration and beautification. Many photographs, maps, and brochures documented the society's project of locating,installing a sign at, and cleaning up of cemeteries in our county. The latest work at the Old Macomb Cemetery, including a new fence and State of Illinois workshop, drew attention to our newer projects. 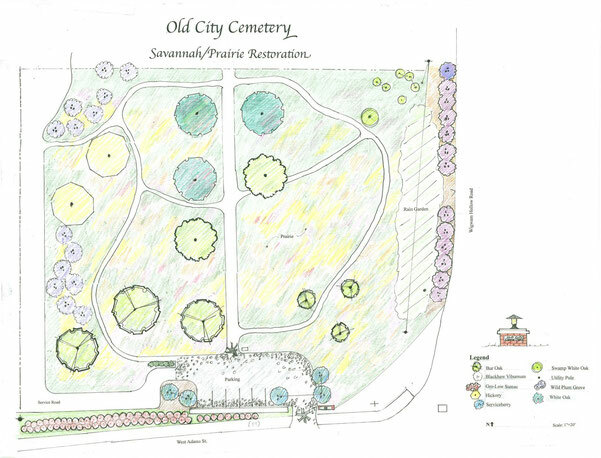 In addition, the restoration of a Pioneer Prairie garden south of the OldMacomb Cemetery will serve as an attractive entry to this historic cemetery. Visitors saw a visual representation of the work of the MCHS over the last several years. The McDonough County Historical Society achieved the first stage of its goals this summer (2013) in its development of the Pioneer Prairie restoration south of the Old Macomb Cemetery on the northwest corner of West Adams and Wigwam Hollow Road. One year ago, the Macomb City Council gave permission to the historical society to transform this empty two-acre lot into a historical prairie garden serving as an educational and beautiful entry to the Old Macomb Cemetery. Margaret Ovitt, a licensed landscape architect, together with Macomb Urban Forester Tim Howe, designed a savannah prairiescape representing the native trees, bushes, and grasses growing in this area in the mid nineteenth century. Tom Green, professor emeritus in the department of agriculture, offered suggestions from his experience with cemetery horticulture. Macomb Sexton Gary Roades suggested pedestrian and vehicle access paths for visitors and maintenance crews. Gary also removed concrete and metal remnants lurking below the surface. The historical society announced that individuals and groups could sponsor “Memorial” trees for the area. Twelve of these have been planted with two more coming in the fall. Mark Bernards, a professor in the department of agriculture at Western Illinois University and a specialist in herbicide control, sprayed the area to kill off unwanted weeds. And in July, Jeff Hudgens of Prairie Hills Forestry in Industry drilled the native prairie seeds into the ground. Gordona Rezab, president of the historical society, announced that all of these steps resulted in reaching the goals set for the first year. Ovitt added that it will take another two or three years for the new trees, bushes, and grasses to establish themselves as a low maintenance prairie gateway to the Old Macomb Cemetery. The Historical Society welcomes donations to its cemetery projects. 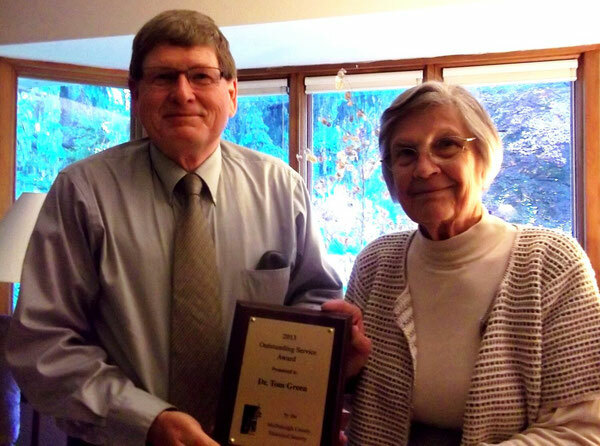 Western Illinois University Professor Emeritus Dr. Tom Green received the 2013 Outstanding Service Award at the May meeting of the McDonough County Historical Society in Macomb. President Gordona Rezab recited the many contributions of Green to the mission of the society in preserving the history of the county. 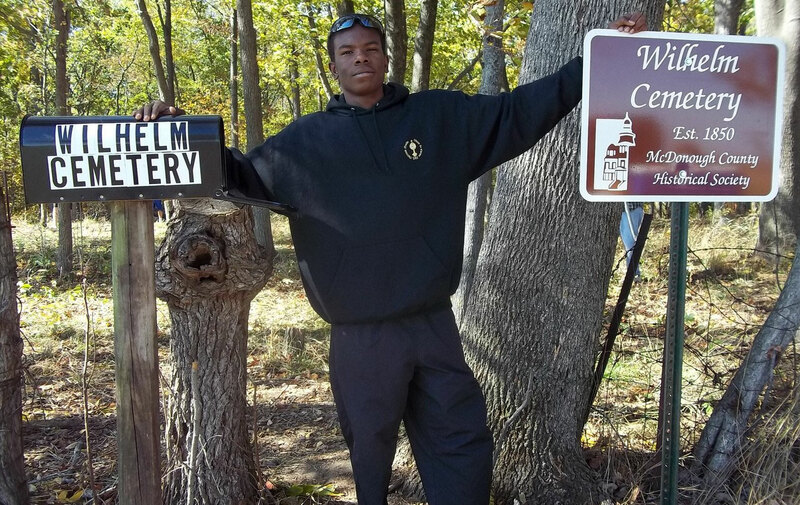 Several years ago Green offered to help in the MCHS project locating, signing, and reclaiming the abandoned and neglected rural cemeteries in McDonough County. He took his enthusiasm to several Boy Scouts looking for Eagle Scout projects, for which he served as director. Green utilized the 18 volume collection of documents created by Duane Lester in the 1970s, "Rural Cemeteries in McDonough County," as his primary source and tool for information about the cemeteries being restored. Dr. Green then began the monumental task of converting these limited edition mimeographed hard copies into digital formats for universal access by the current generation of internet users. In addition to the arduous task of merely retyping the hundreds of burial records of these 96+ cemeteries, Green updated the genealogical information included in each cemetery document. The contributions of Green continue with his creative vision of attaching QR codes to each cemetery sign for instant access to all the information available about each cemetery. Prior to the award presentation, Green spoke to the historical society members about the various types of trees associated with the historical evolution of cemeteries in our area. "McDonough County Historical Society - The Cemetery Markers Project"
of the 95 cemetery signs installed by the Society in the past 5 years. It is a "page-flipping" way to see the entire project and read all about all of the cemeteries with signs in McDonough County -along with seeing images of people who care about each of these unique historic resting places. The e-book contains a photograph of each cemetery sign as well as the story of the cemetery in a press release written when the sign was installed. The Cemetery Markers Project is coordinated by Gil Belles. All photographs and press releases by Gil Belles. a historic cemetery in Macomb, Illinois. 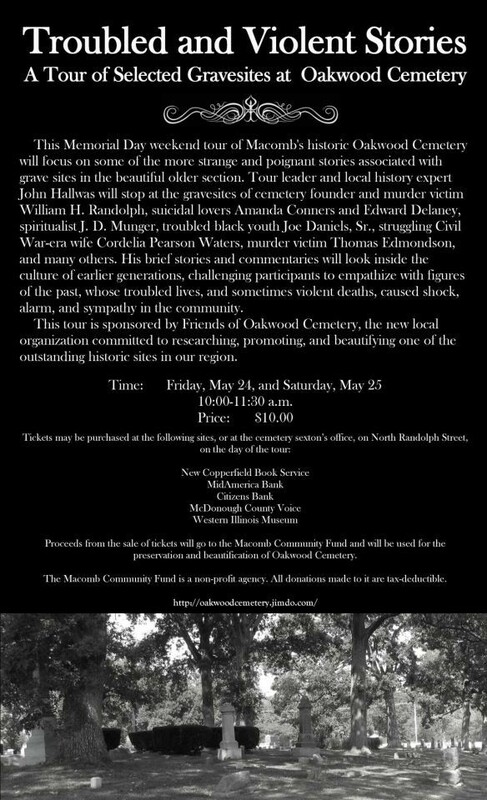 Please consider joining the Friends of Oakwood Cemetery! 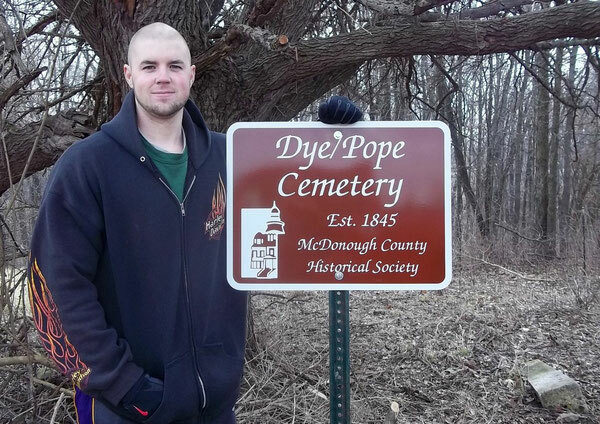 Eric Zimmerman accepts a new sign for the Dye/Pope Cemetery located on his family's property. Tennessee Township - Eric and Honey Zimmerman, the owners of property that includes the Dye/Pope Cemetery, recently accepted a new sign to mark the site donated by the McDonough County Historical Society. This cemetery is located in the far west quarter of Section 6 of Tennessee Township in McDonough County. The headstones are all fallen and partially buried under sod and weeds. It is difficult to estimate how many remain of the 17 original burials. James Dye buried his first wife Barbara, here in 1846. He buried one of his young grand children, Caroline, in this place in 1845. James was murdered in 1854, allegedly by his much younger second wife. In the mid-1960s, out-of-state descendants of the Dye family removed the four Dye monuments from this location and embedded them in a family plot in Missouri. A sophisticated “poking” at this site might reveal more headstones marking burials between 1845 and 1881, the date of the last burial. The Pope family later owned the surrounding property and five members of that family rest at this site with at least two of their headstones visible. Macomb - When George Blome first saw the Wilhelm Cemetery last fall, a trigger in his mind set off a chain of events that has culminated in completion of his major project to reach Eagle Scout. The cemetery has been abandoned and inactive since 1887, with the attendant neglect taking its toll in falling trees, limbs, and aggressive weeds. The Wilhelm Cemetery is in Section 23 of Industry Township, about one mile southeast of the Village of Industry in deep, thick forest land. Blome, a senior at Macomb High School, asked the McDonough County Historical Society if he could develop a cleanup project at the cemetery site. The society became an enthusiastic supporter of his proposal. He then sought permission from the leaders of his Scout Troop #4303 and began his application for Eagle Scout based on the successful completion of this project. Blome’s Scout troop is sponsored by the Church of Jesus Christ of Latter Day Saints. After four afternoons of chain saws, weed whackers, loppers, stoop labor, and the cooperation of many Scouts and friends, the Wilhelm Cemetery has emerged as a beautiful and restored center of family and local history. Tom Green, WIU Emeritus Professor of Agriculture, was Blome’s project supervisor. The first burial at this site in 1850 was Mary C. Cockerham, a married 19 year old daughter of Joel and Elizabeth Pennington. Ruth Pennington, a nine-month old infant, was the last burial in 1887. Of the 28 graves, 14 memorialize infants under four years of age. The McDonough County Historical Society recognized the work of George Blome by erecting a new sign at the cemetery entrance. The cemetery sign project is supported by Dodsworth-Piper-Wallen Funeral Homes, Assets Protection (Bob Fischer, President), and the McDonough County Historical Society.